Some news of a few more databases currently on trial from ProQuest until the end of November. While not directly related to PPLS subject areas, there is still much that will be of general interest to many of you, with lots of great reading on offer! 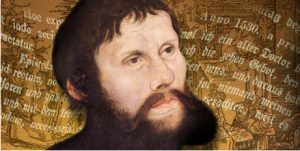 Martin Luther (1483-1546) is a central figure in the development of European culture, not only as a result of his religious influence but also for his contribution to the establishment of the High German language. The Library has trial access – until the end of June – to ImageQuest, a unique collection of over 3,000,000 rights-cleared images from 59 of the world’s image houses.